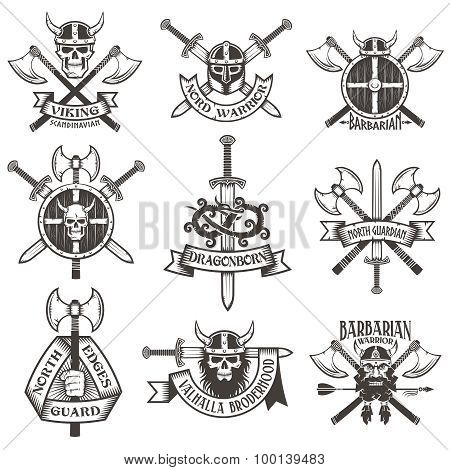 Viking logo set. 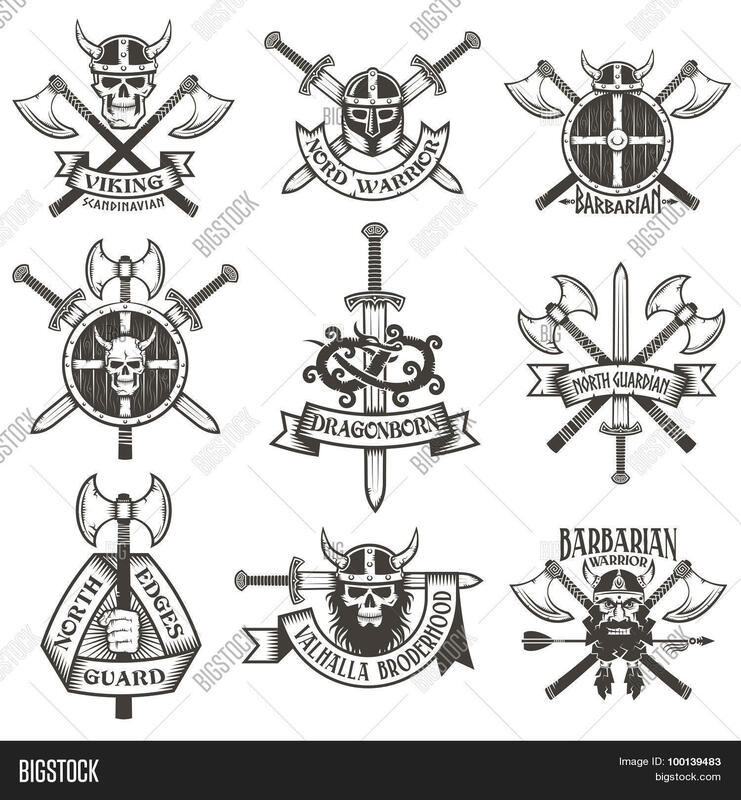 Skull in a horned helmet the skull with a beard the head Viking crossed axes crossed swords viking helmet shield Viking hand with an ax a dragon. Logo can be easily disassembled into separate items.